For many brands, digital marketing is still a new frontier (yes, even in 2019.) But ultimately a lot of the basic principles of understanding consumer shopping trends and effectively delivering a digital marketing plan is really not that different so many other aspects of marketing. Recently, our CEO Stacy Jones, sat down with radio host, business consultant and digital marketing expert, Sharifah Hardie to discuss her in marketing. 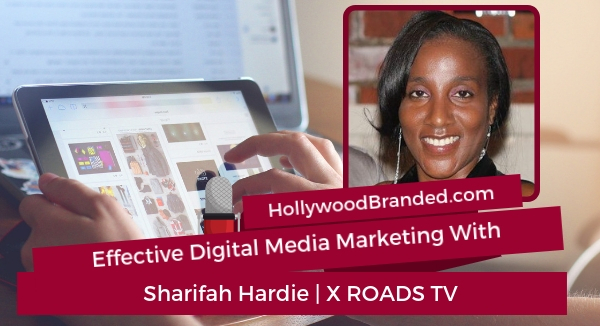 In this blog post, Hollywood Branded shares insights on digital marketing and strategy from X Roads TV's founder, Sharifah Hardie's experience and expertise. In marketing and advertising, distinguishing your brand from others is perhaps one of the most important tasks at hand. It doesn't matter how great the product or service you offer is if it doesn't have a quality that sets it apart from competitors. The personality and the drive behind it appeal so strongly to consumers that it's imperative for your brand to identify the best way to make it stand out. 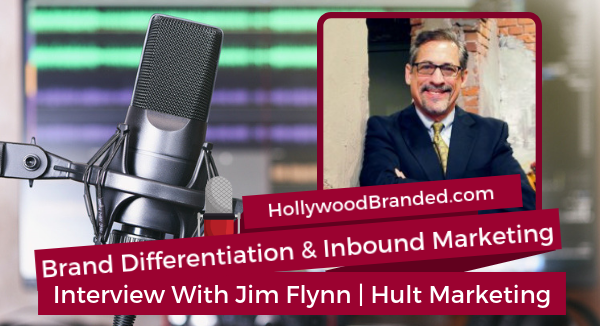 In this blog post, Hollywood Branded shares insights on brand differentiation and inbound marketing from the expertise and experience of Hult Marketing's Jim Flynn. In order for any brand to successfully market itself, it must first understand who the key demographic is for their product(s.) While this may seem like an easy part of marketing, you'd be surprised how often this can be a struggle for brands of all sizes. With this in mind, it's crucial for brands to develop personas, or representations of their ideal marketing demographic base. Last week, our CEO, Stacy Jones sat down with an expert in the field of developing personas to discuss the most and least successful methods to identifying a brand's persona. 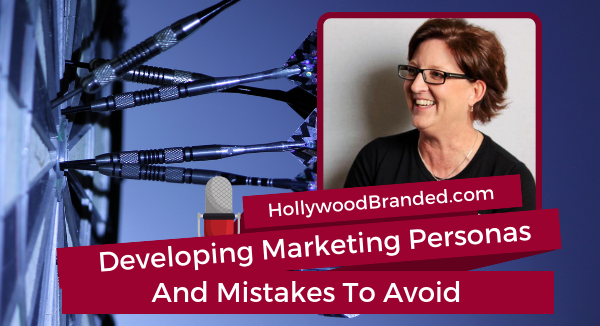 In this blog post, Hollywood Branded examines some of the best practices to developing a marketing persona for your brand from the expertise and experience of Susan Baier from Audience Audits. Some people in our office get hundreds of emails every day - like myself. It is ridiculous. Others get a small handful. But there is one thing that remains consistent across the board - people often forget to do the actions requested in the emails. And I’m absolutely at fault as well. It took me quite a long time to realize that the overriding issue was really nothing more than... a lack of organization. Regardless of the individual, it was not based on a shear attempt to ignore the requests or action items needed by others on the team or - gasp - clients. 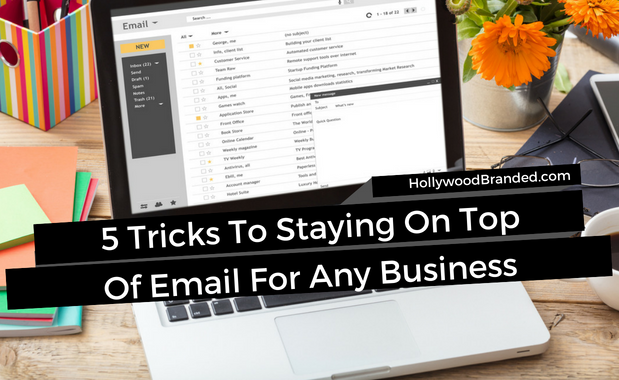 In this blog, Hollywood Branded discusses how our team has addressed a challenge felt across the nation by businesses of all types, everywhere: how to deal with email organization. Sometimes a brand just needs a few tweaks to make it become a pop culture sensation. And those tweaks may involve the overall brand identity. One such brand that experienced a complete turnaround by getting a full makeover was the Anime Expo, a meteoric, four day event celebrating Japanese pop culture and entertainment. Not only is it an anime centric cesspool hosting hundreds of thousands of fans, but it just might be the holy city for would be anime cultists. The dedication is real. With the majority of these fans setting aside months of planning and networking for this event alone, the result is the amoebic construction of a global community obsessed with one ideal. But before the brand makeover, there was a disconnect and the powerful potential of the expo was languishing. 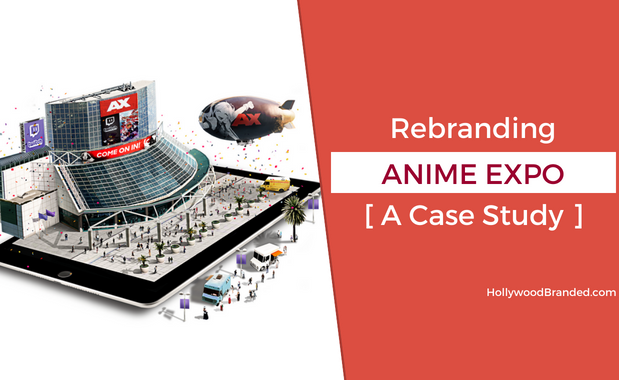 In this blog, Hollywood Branded shares how one branding company completely rebranded and evolved the brand identity of an event to make Anime Expo become the top anime convention in the world.